Grow in self esteem rooted in being God’s handiwork. As I was saying yesterday, God is not a far away God… He is a very close and personal God. He has created each of us for a unique purpose, according to His deep and profound design of us (He knows us), and most importantly His plans are for our good because He wants the best for us and those assigned to us. As we walk closely with God, we begin to know His heart for the lost, the sick and the oppressed. The more we know God, the more we know how to please Him, and the more we desire to. We begin to know God’s urgency to bring souls closer to Him and into His presence. We also begin to develop a heart for evangelism and missions. I should clarify, this is true for those of us who know God’s grace and mercy, and who are convinced that God has and is the solution to all problems and circumstance. God called you, and He will complete His work in you when Christ returns. 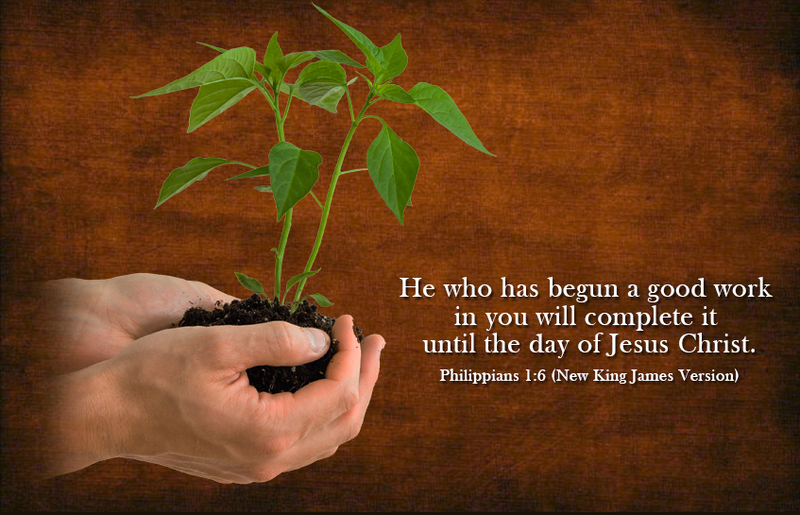 Until then, He will work in you and through you so that you may become a useful instrument in His hands. The Lord pushes you, and me, to grow in faith and gives us many opportunities to obey Him, even when we have disobeyed Him in the past. As I mentioned, God has a plan for each of us… but Satan also has a plan. One of his devices is that we resist God: so that he can take advantage of us by omission. But because Jehovah is our great master, He promises to guide us if we seek His help. I firmly believed the Lord listens and answers all types of prayers: those strange prayers where our words and sentences make no sense: those angry prayers, where we ask God to end our lives: and those prayers where all we can do is call out the name of Jesus. Today, I want to remind you all to pray. Ask God for your purpose. It is God’s designated and specific plan for YOU to get souls reconciled to Him. It is God’s way to providing love, and change to people all around the world. The Lord has different ways of leading different people, and you have a set of people which are assigned to you! Lord God, thank you for your presence, your love, your patience and your investment in us and with us. There is no way we could ever pay you back, but we give you praise for all that you do and all that you will do. I ask you to ignite our prayer lives, and may your word minister to us on a daily basis. We present to you any area where we may feel fear, or stagnation: may you help us break out and shift into levels of advancement and progression. In Jesus name, Amen.